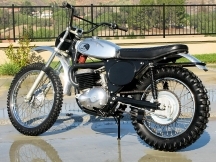 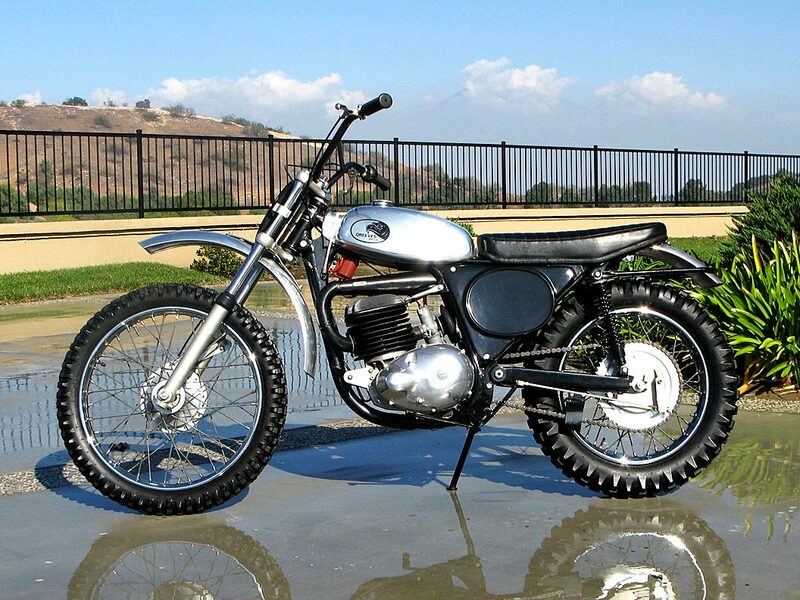 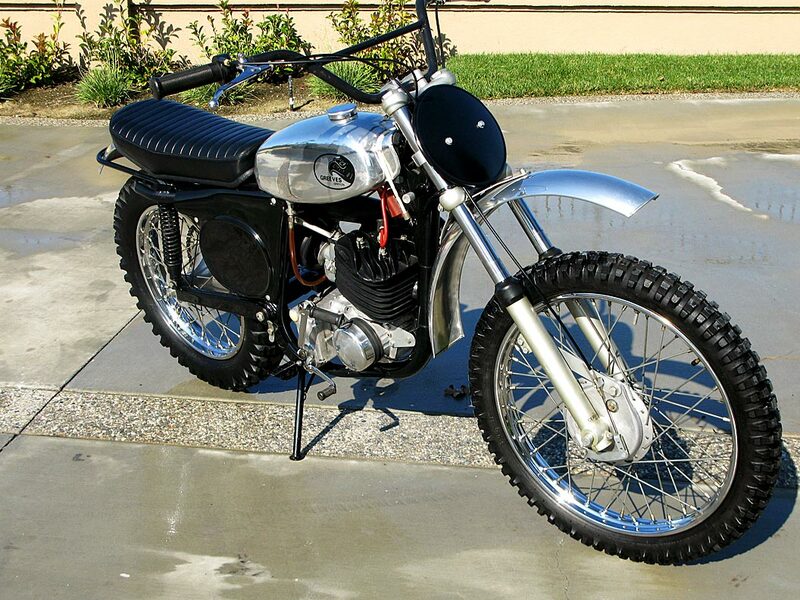 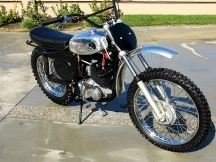 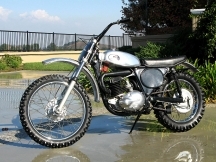 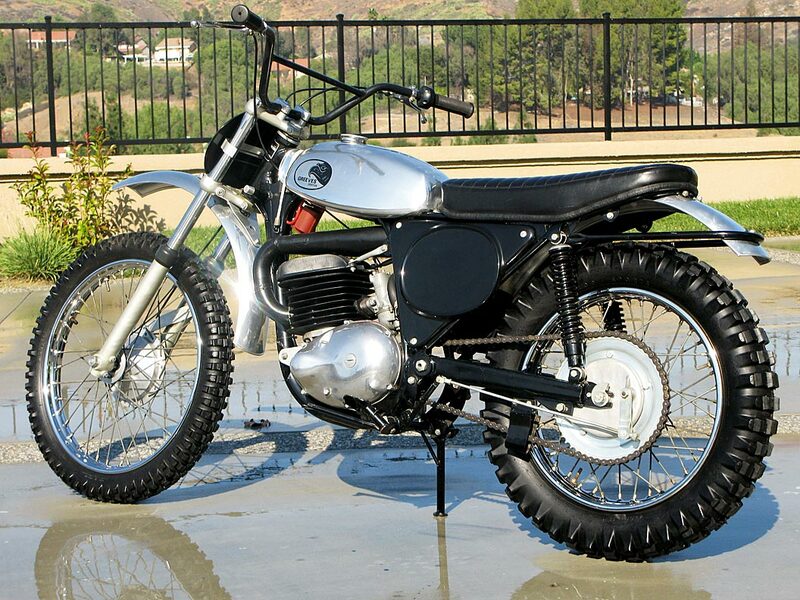 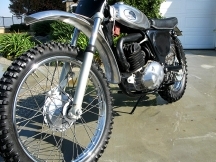 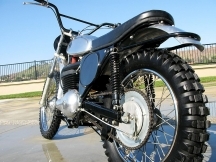 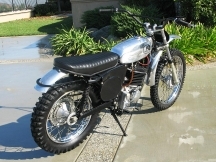 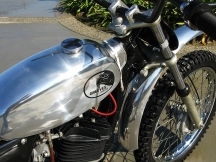 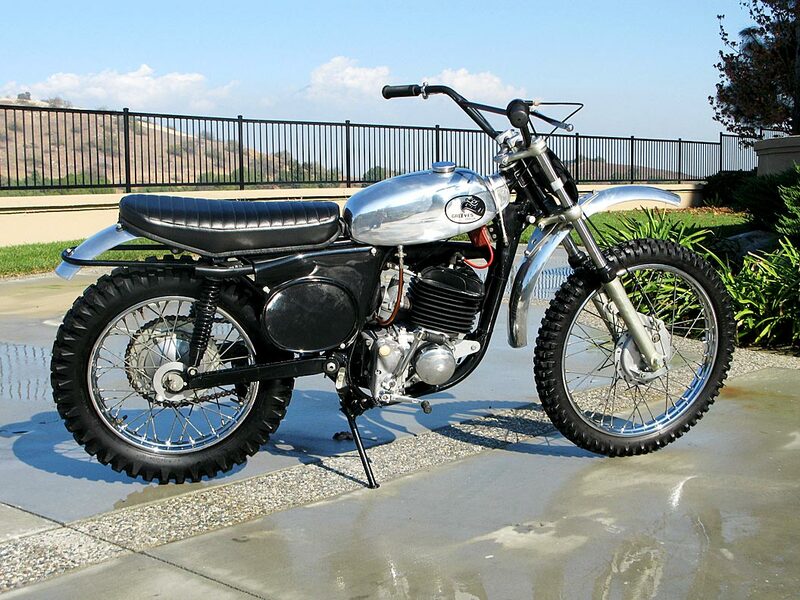 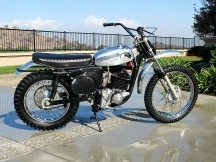 Greeves Motocross bikes were successful as early as the 1960’s. As the 70s came around, Greeves started losing market share to the Yamahas and Suzuki’s of the period. 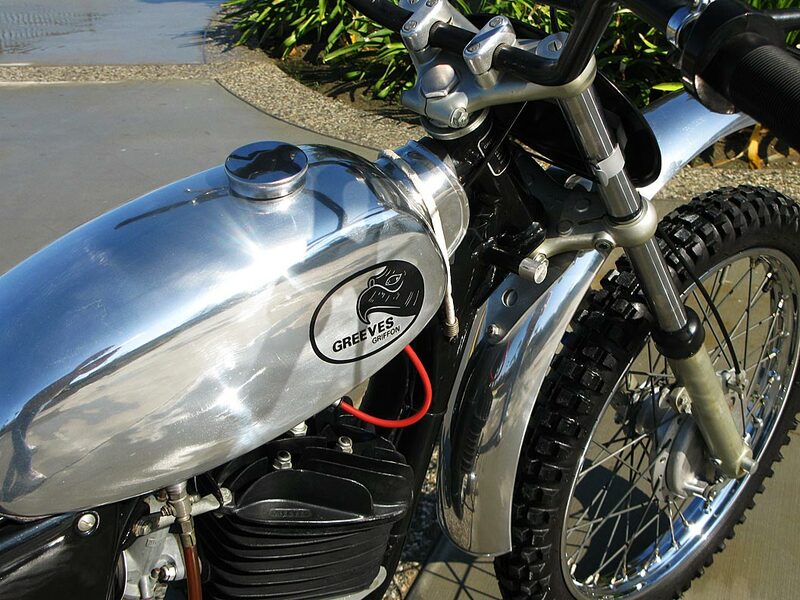 In an effort to recapture market share, Greeves restyled their 1973 Griffon to be more competitive on the track. 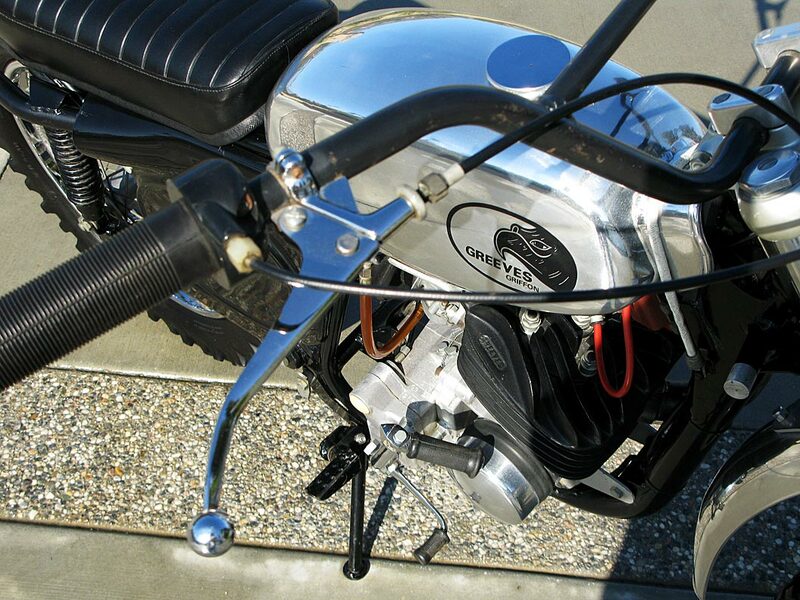 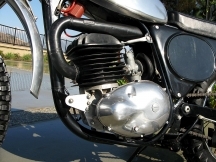 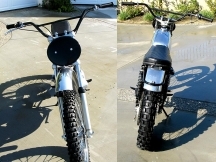 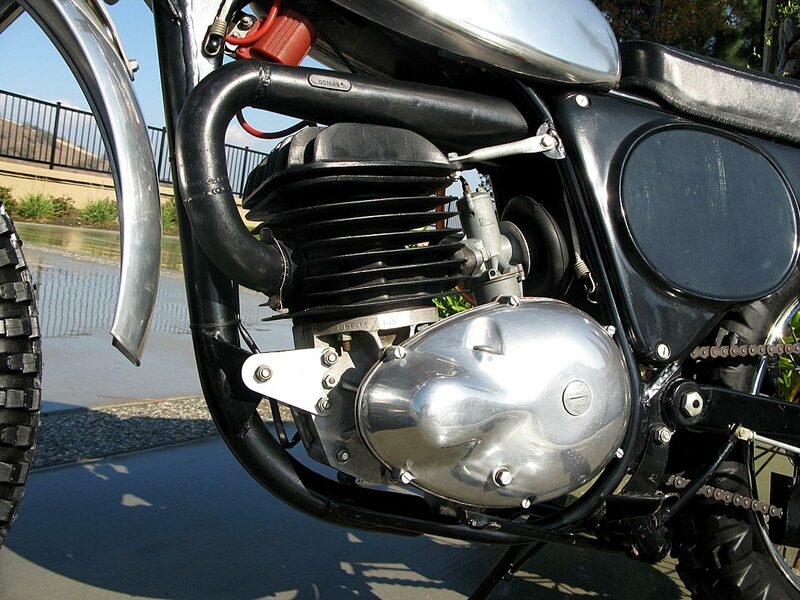 Gone was the fiberglass metal flake tank of 1973 for a new aluminum sleeker fuel tank. 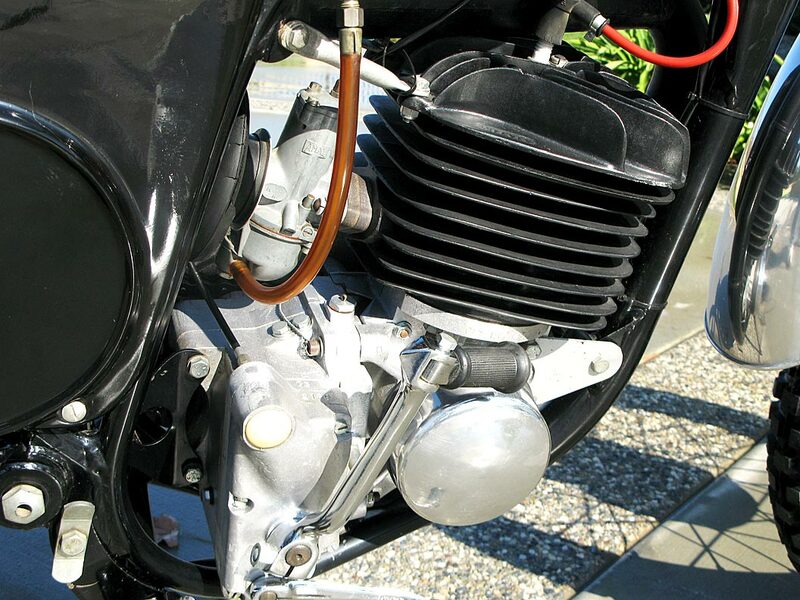 For the motor, Bert Greeves would turn to Dr. Gordon Blair of Queens University, Belfast (QUB) who designed the new porting and exhaust system. The result was a serious 8 additional horse power over the exact same motor from 1973. 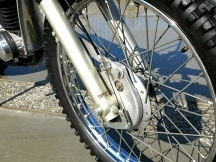 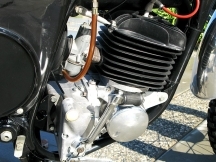 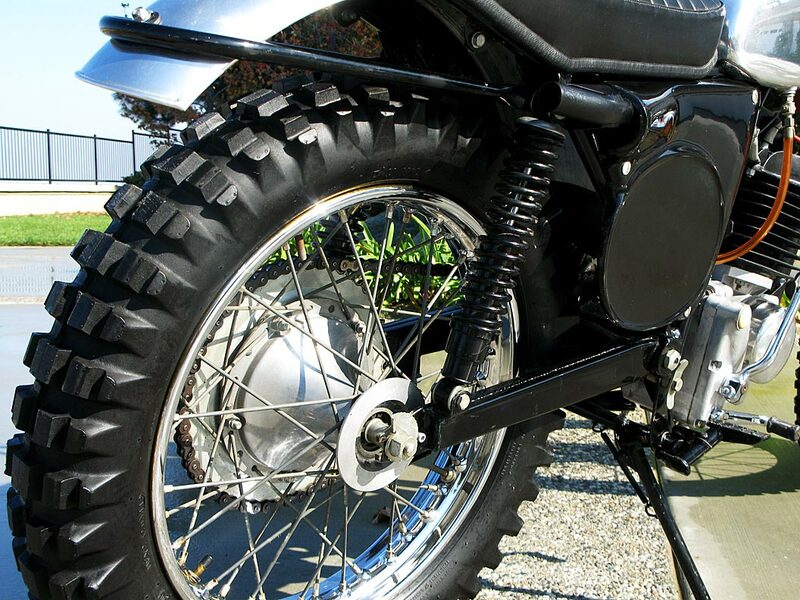 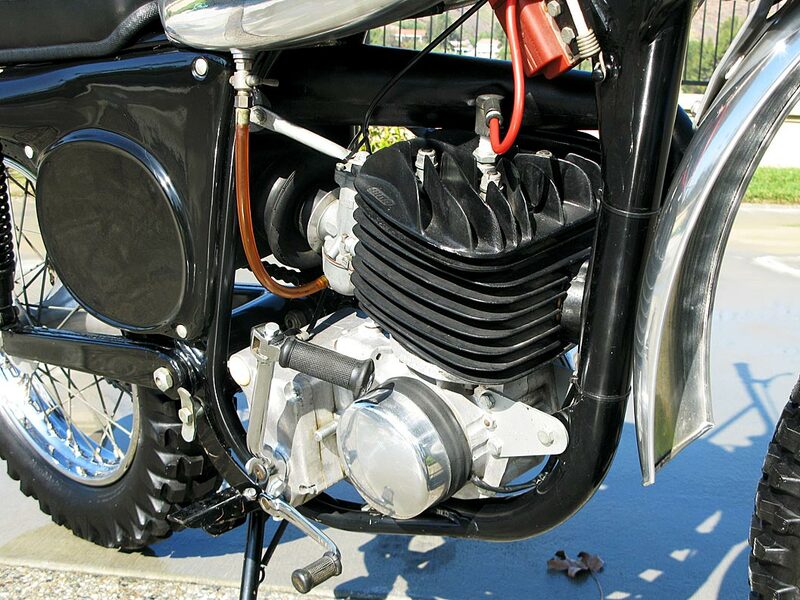 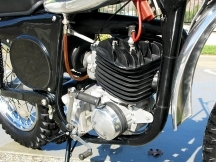 The bike is light, agile and has many of the important features to make it a fierce 1974 competitor. 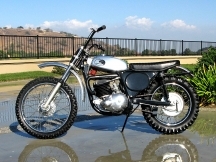 Unfortunately, it was too late as Honda and Kawaski had now joined in at lesser prices for comparable machines. 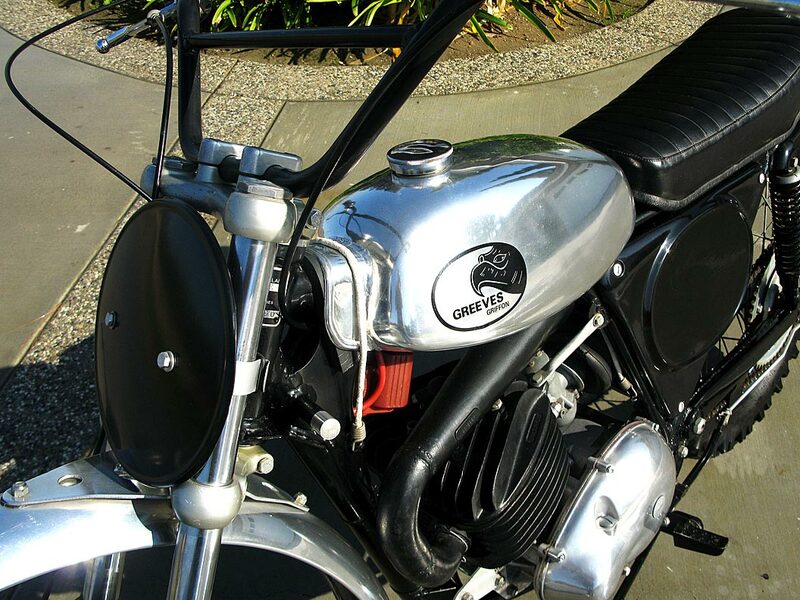 Greeves closed its doors in 1977 after a fire at the factory. This bike was never sold and sat in a warehouse for over 40 years until I bought it in December 2014.